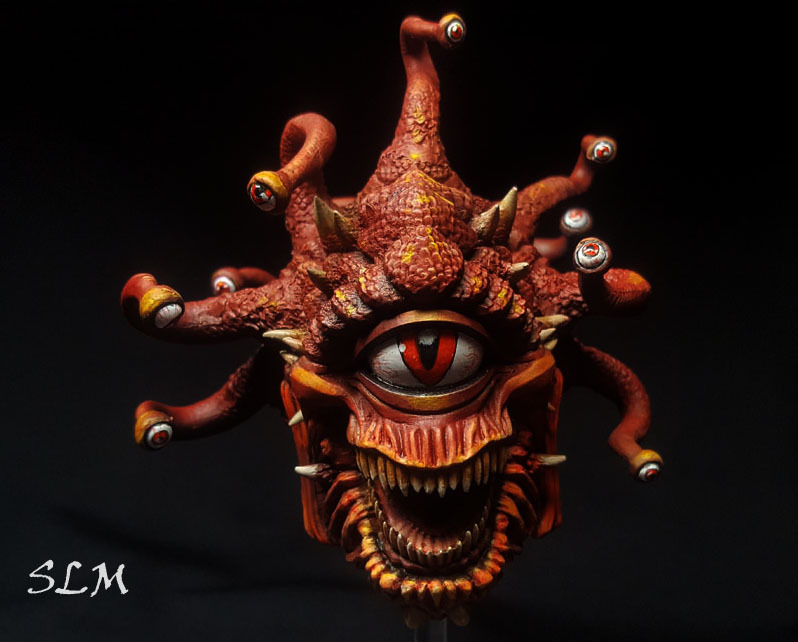 Gale Force Nine came out with gorgeous sets of Dungeon and Dragons miniatures, one of them being the Eye Tyrant, also known as a Beholder. It’s a large resin model with beautifully carved details. There were some gaps to fill but they were easily blended into the existing detail. I used oil over acrylics to get the colors to pop. It was truly a joy to paint.